POS system allows you to keep track of sales and inventory with a physical system on the store and an application to manage your invoicing, billing & inventory. TMD POS system allows you to sell your products i.e enter orders from your physical store for walkin customers wihtout any signup and sync online with your opencart store. The main advantage of creating an OpenCart POS System is to integrate both of your online and physical stores. The pain area is most e-commerce businesses run their online and physical store separately, so maintaining a centralized sales, inventory and customer data is not that easy and it is one of the underlying pain areas that you can get rid off with an OpenCart POS Module. Because unlike a traditional POS system with heavy machinery, OpenCart POS system is a Cloud-Based POS system to empower selling anywhere because the cloud is everywhere and you don't require any bulky hardware or huge setup. With the help of OpenCart POS System merchants will be able to manage their sales, inventory, and customer data centrally and can easily manage their day-to-day transactions irrespective of diverse physical stores spread across different locations. 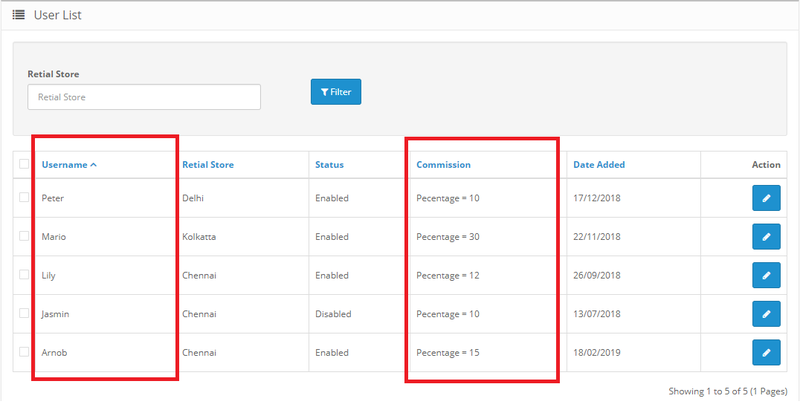 Admin can create multiple users and assign a user to a specific retail outlet from where he or she can manage orders for walk-in customers at the physical store and check out easily without any signup and the orders are automatically synced to the online store. It does not connect with the cash drawer or card swapping machine. OpenCart POS works with online OpenCart store, so it will not support offline customer data entry or invoicing. A successful point of sales system not only records sales and orders from different locations but keep track of your sales agents and monitors the performance of sales location wise. It also keeps track of all users and sales agents and monitors sales record for each sales agent. - Assign individual username, email and password for respective sale agents. Scale your business easily with multiple retail outlets by using the OpenCart point of sales system without any extra expenditure. The POS product is a seperate section where you can see all items as per assigned location and admin can assign items to a specific location. Admin can keep an item global if the item is to be displayed at multiple locations or more than one location. Kindly note here assigning a product is specific to a single location only. Barcode is an essential part of any SKU item, manage all barcode for your stock items under inventory barcode section in our POS system. OpenCart POS system allows you to store manufacture barcode or create your own barcode. This ensures faster invoicing and billing on orders for your physical store for your all walk-in customers. If you are using a traditional POS system for your store, OpenCart POS system can completely replace your traditional POS bulky machine. Holding an order is preferably not welcome during a live transaction. However during a live transaction when the order is executing for large no. 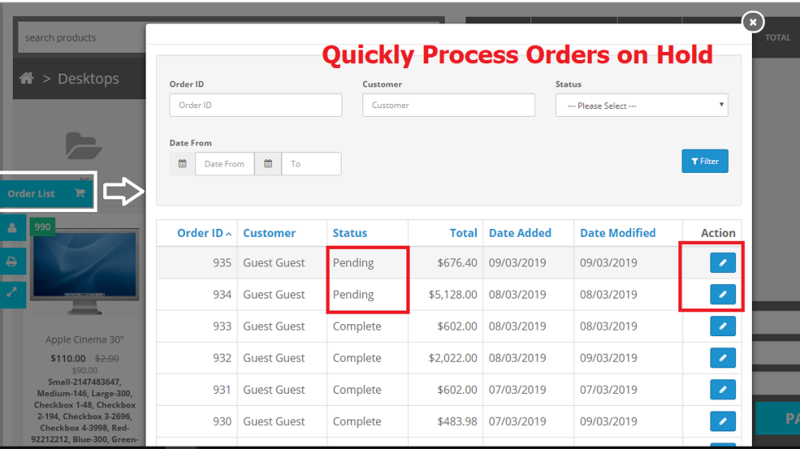 of items and there is some discrepancy (such as missing of a barcode for one item or rate is unknown) and you need some time to correct it, yes you temporarily hold your current entry by just saving the order status as pending and proceed to the next customer in queue. 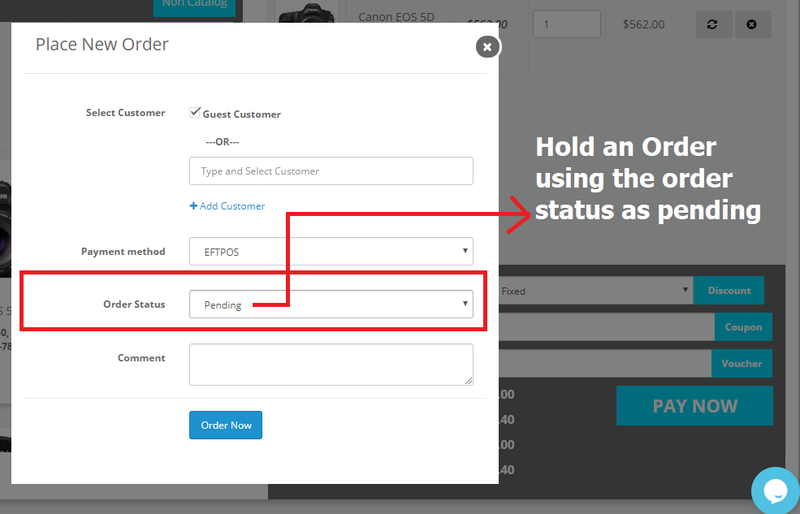 On saving the order is saved as pending rather than holding. 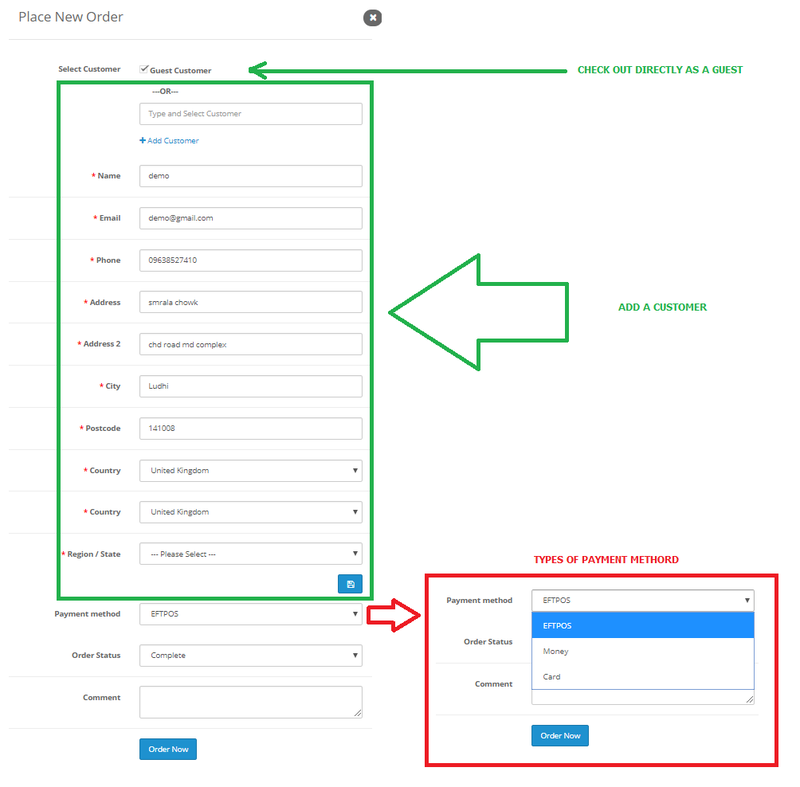 However, you can easily navigate to the pending order from the left-hand pane and easily checkout as discrepancy for a hold transaction is resolved. - TMD OpenCart POS system allows a sales agent to hold an order for a customer in the queue by saving the order status as pending. - The POS screen allows easy navigation on the left-hand side to quickly navigate to last order and perform a final checkout on issues resolved. POS cart provides convenient ways to add end number products to the cart as well as change base price and quantity if required. The sales agent can also add bill wise discount offer on the basis of percentage or fixed on demand. TMD POS system allows 2 types of print format/settings to generate a soft copy for your customers. Customize header and footer print option to add extra information as per your requirement such as VAT No. Company Reg. No. etc. Barcodes are essential for easy scanning of the items and accomplish a quick order processing. OpenCart POS allows you to generate and print standard barcode for your items/product. TMD OpenCart POS can also customize barcode requirement if required. - Get a sales report on the basis of payment method viz, cash, card and ETPOS, filter your daily monthly quarterly or yearly sales report on the basis of payment method filtration. - Items specific total quantity sales report, for a period, on the basis of product id or model number or product name. For a more advanced OpenCart POS system we do have a separate custom module on OpenCart. Leave us a query and we can customize your needs for multi-warehouse inventory management and stock transfer option etc.